Although the need for blood cleanup may arise from many different causes, from bused pipes, fires to monsoons, we can quickly and effectively reconstruct your home or business and make it like new. Hoarding is a behavioral disorder characterized by the excessive acquisition of possessions and abnormally strong feelings of attachment to them. For family members and property owners dealing with the aftermath, professional hoarding cleanup is the only viable solution. Nationwide more than three million Americans are considered to be hoarders and a disproportionate number of them live in Arizona, which is a paradise for elderly who live alone. 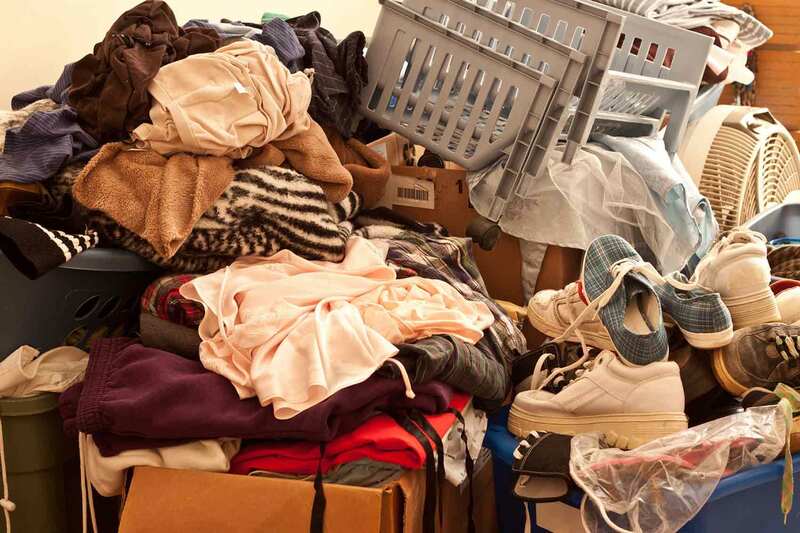 In extreme cases, houses and apartments occupied by hoarders become a fire hazard because of blocked exits, large amounts of paper, and irregular utility service. And, the weight of stacked hoarded items may also present a hazard. Such properties are usually also a health hazard because of insect and rodent infestation, hoarded food or garbage, and animal or human wastes. 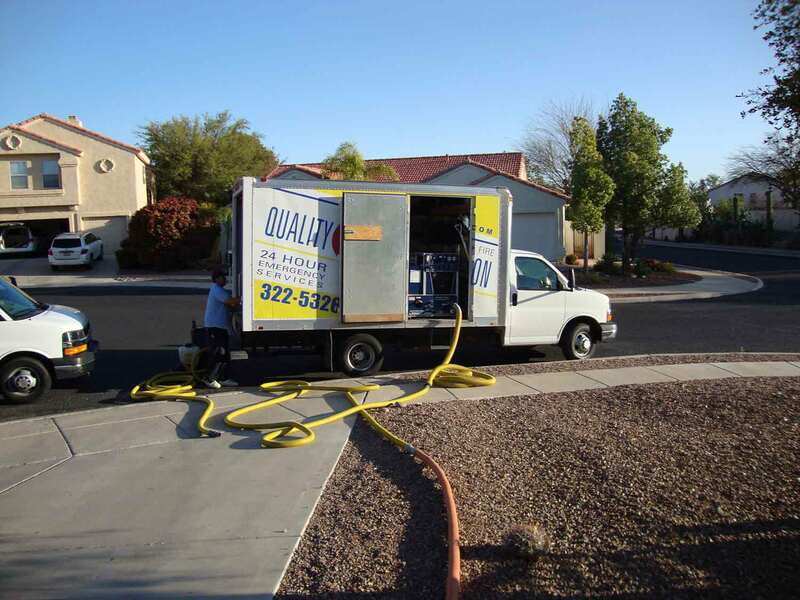 Here in Tucson and Southern Arizona, Quality Restoration 24 Hour Emergency Services is your best choice for hoarding cleanup. Whether you’re a landlord faced with a large accumulation of junk from previous tenants, or you’re helping an elderly family member move to a new home, or you’re resolving an estate property issue, we can help. Properties inhabited by hoarders are usually dangerous as well as cluttered, since they often contain biohazards such as pet wastes or animal remains. Comprehensive hoarding cleanup is necessary in order to fully restore a property to normal use. At Quality Restoration 24 Hour Emergency Services we have the experience and resources to ensure that your cleanup is quick, compassionate, and thorough. Most importantly, we’re professional – We help ensure that all sentimental items such as photos, financial documents, memorabilia and other useful, valuable property are preserved instead of lost. 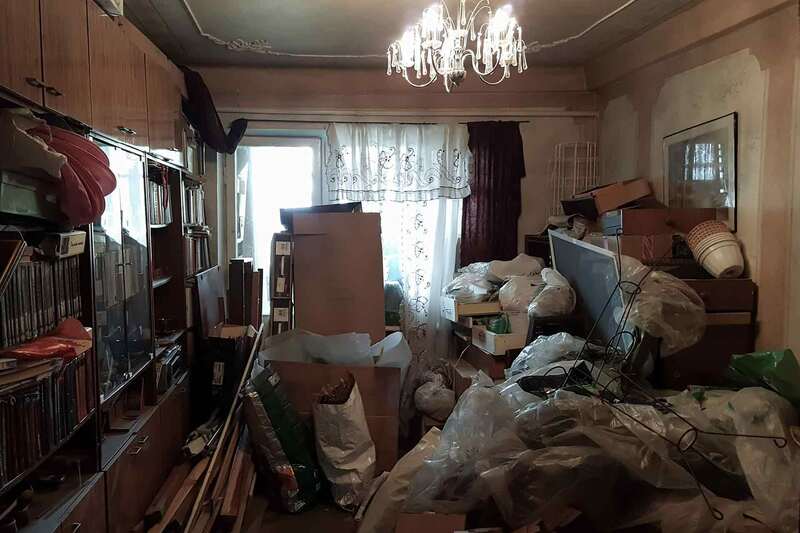 Whether you need extreme hoarding cleanup or just a minor reorganization and removal of clutter, Quality Restoration 24 Hour Emergency Services can help. When you’re faced with the task of hoarding cleanup, there are a full range of options for dealing with trash, clutter and overabundance of belongings. We can do everything from a complete clean-out to a reorganization and selective recovery of important items.We have more than 34 years of experience helping Tucson area families and landlords clean up and restore properties after hoarders. Hoarding cleanup is a specialized service that requires compassion, experience and unique skills in order to achieve good results. We’re proud that Quality Restoration 24 Hour Emergency Services is Tucson’s long-preferred resource for hoarding remediation and cleanup. The most important goal of a hoarder cleanup is not to throw things away, but instead to help families and property owners find and safeguard items of value and personal significance from within the clutter, while cleaning up the clutter. During hoarding remediation we can clean, inventory, package, store or ship items according to your wishes. Of course, cleaning up properties and removing biohazards are part of our normal daily operations.